Google released the first Developer Preview for its new 'Android Things' operating system back in December, and the company has been improving it ever since. A minor update, Developer Preview 3.1, was released today with support for the new AIY Projects Voice Kit. 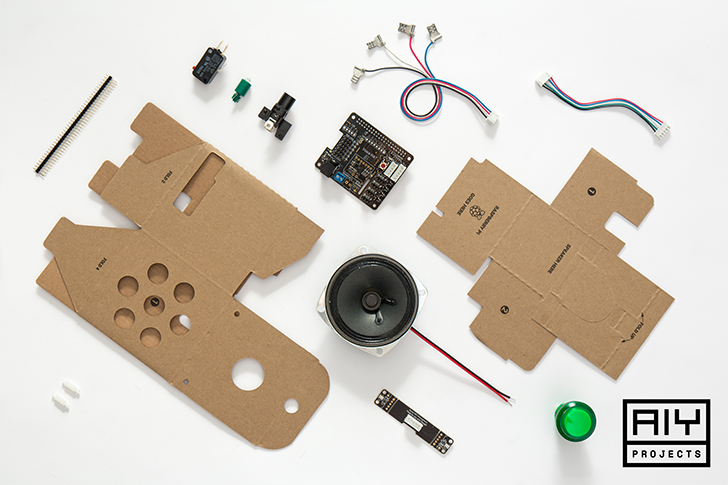 If you're not familiar with it, the AIY Projects Voice Kit is a simple way for Raspberry Pi owners to create their own smart speaker. All you need is a Raspberry Pi 3, and the kit includes all the other components you need. The new Developer Preview 3.1 works with the kit without any special configuration needed, so you can get started with making your own Google Assistant speaker in no time. The AIY Voice kit comes with the latest issue of MagPi Magazine. If you really want one, but you aren't subscribed, check your local book stores. Another option is to use the normal Assistant SDK on your Raspberry Pi and the Google-recommended speakers and microphones, which are much easier to buy.